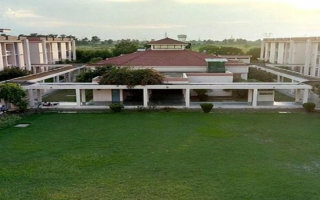 The Five-Year Unified International Bachelor-Master (UIBM) Degree Program is a strategic curriculum which aims to develop a collaboration between the Asian Institute of Technology (AIT) and Partner University (PU), to offer a fast-track and economical way for students to complete bachelors and master’s degrees in PU and AIT, respectively. 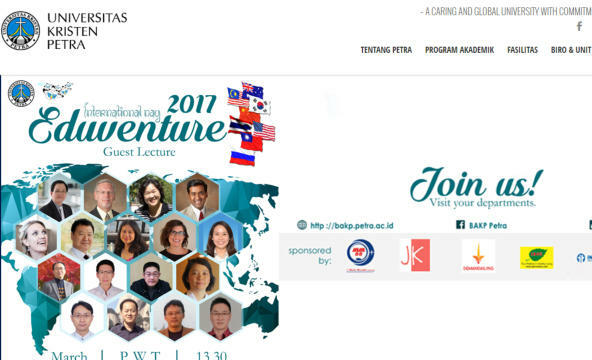 BENEFITS This joint venture will promote PU and AIT cooperation among Asian students by paving a new dimension of collaboration through this unique five-year Unified International Bachelor Master Degree Program. It will prepare trained batches of future PU and AIT researchers and professionals for quality research in dedicated fields. The program will focus on emerging areas to attract exclusive class of motivated students. The program will offer students quality education leading to Bachelor and Master Degrees in a relatively compressed duration by utilizing long holidays period during the academic program to reduce the cost of tuition, living and other expenses. 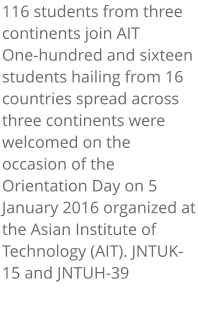 Students will benefit by the international exposure that AIT provides. The Five-Year Unified International Bachelor- Master (UIBM) Degree Program is a strategic curriculum which aims to develop a collaboration between the Asian Institute of Technology (AIT) and Partner University (PU), to offer a fast-track and economical way for students to complete bachelors and master’s degrees in PU and AIT, respectively. 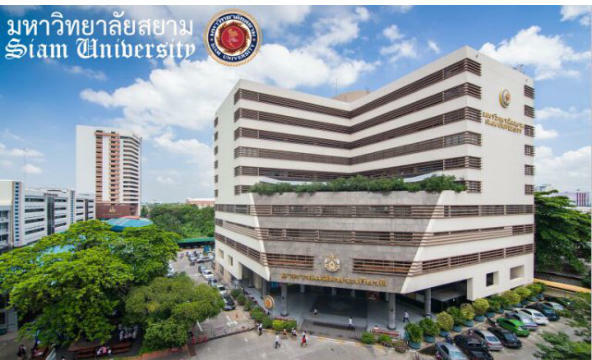 BENEFITS This joint venture will promote PU and AIT cooperation among Asian students by paving a new dimension of collaboration through this unique five-year Unified International Bachelor Master Degree Program. It will prepare trained batches of future PU and AIT researchers and professionals for quality research in dedicated fields. The program will focus on emerging areas to attract exclusive class of motivated students. The program will offer students quality education leading to Bachelor and Master Degrees in a relatively compressed duration by utilizing long holidays period during the academic program to reduce the cost of tuition, living and other expenses. 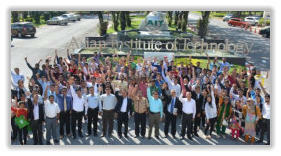 Students will benefit by the international exposure that AIT provides. 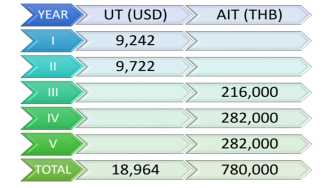 FEE STRUCTURE AIT standard fee for students in full-time attendance pay a registration fee of Baht 20,000 per semester and a tuition fee of Baht 16,000 per credit or THB 768,000 (for 48 credits and 4 semesters) details can be viewed in link below: https://www.ait.ac.th/admissions/expenses/ Unified program, has reduced both the fee and the duration: fees (from THB 848,000 to 636,000) and number of semester (from 4 semesters to 3 and 1 intersemester) while the courses and total number of credits to be taken remained the same, 48 credits. Meritorious / top performing students will be offered additional Fellowship as per criteria established in agreement. Partner University is free to charge its own fees. 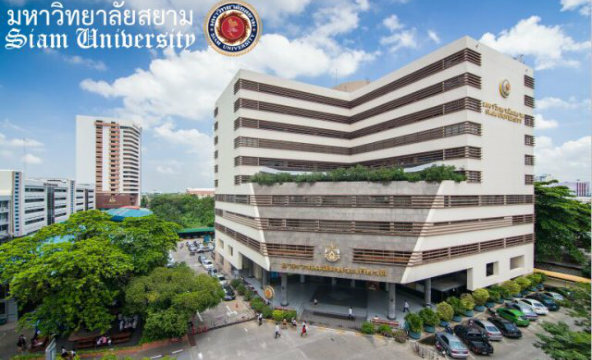 Living and food charges (approximately ThB 15,000 per month) which are not included in Program Fees shall be shouldered by students. THE PROGRAM • This Unified Program will be spread over a minimum of 5 years. • The Bachelor Degree will be awarded by PU, while the Master Degree will be awarded by AIT. 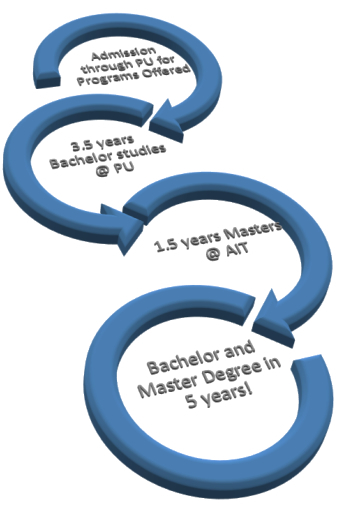 • Students will spend at PU for their bachelor courses and eligible students can continue the Masters program in AIT. • Unified Program comprise of academic programs offered by PU in undergraduate (UG) and masters/post graduate (PG) offered by AIT. 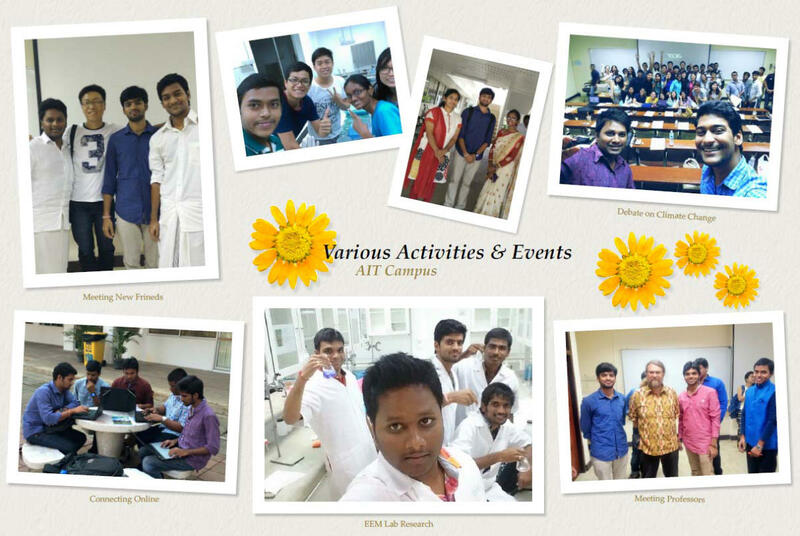 o Academic Programs offered by AIT must be related to each of the undergraduate program offered by PU. 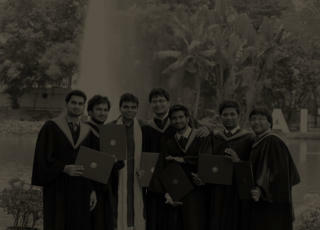 • Both Degrees will be awarded after fulfillment of all the requirements of each respective degree. • Students will spend first seven (7) semesters at PU for bachelor program and continue the master program in AIT for 3 semesters and 1 inter-semester. 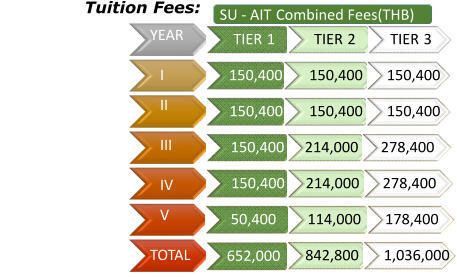 • Students admitted in PU will be provisionally registered in AIT at the same time. • The program medium of instruction / teaching will be in English. * Terms may vary depending on the actual signed agreement between AIT & Partner University. SUCCESS BELIEVE IN YOURSELF Not only breaking the barriers and passed, but some did pretty well and belong to top performing students in their respective Fields of Study. AIT will inform Partner University which Fields of Study (FoS) / Specialization will be admitting students in incoming semester. On 27th July 2016, 15 students graduated during AIT 126th (intersemester) Graduation Ceremony. 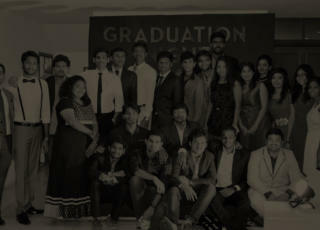 On 19th May 2016, AIT held its 125th Graduation Ceremony, and the first batch of 29 students has successfully graduated. 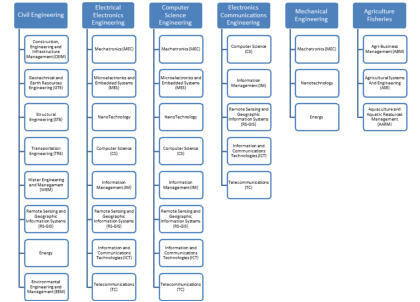 Among them are, 6 from Construction Engineering & Infrastructure Management (CEIM), 11 from Remote Sensing &amp; GIS (RSGIS), and 12 from Environmental Engineering &amp; Management (EEM). GLOBAL NETWORK OF COLLEAGUES Students will become part of a strong network of over 22,000+ alumni from 101 countries who are involved in exciting careers in research, government, entrepreneurship, invention and discovery, and academia. Congratulations Graduates! As officially confirmed by the Academic Senate, dated 19th July 2017, of the Asian Institute of Technology, 30 students have graduated this intersemester (14 from JNTU Kakinada and 16 from JNTU Hyderabad): • 7 from Construction Engineering Infrastructure Management (CEIM) • 7 from Computer Science • 5 from Information Management • Computer Science and Information Management, AIT • 9 from Remote Sensing and GIS, AIT • 2 from Structural Engineering Students have completed the requirements for the Bachelor and Masters degree at JNTU and AIT respectively. 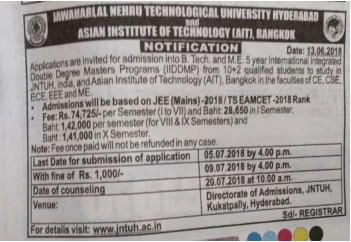 The Asian Institute of Technology (AIT) would like to take this opportunity to convey our sincere gratitude to JNTUK, JNTUH and She Foundationion for its continued support and cooperation to engaged in the development of human resources effort for Indian students. Students can attend the official graduation ceremony on December 2017. Congratulations Graduates! 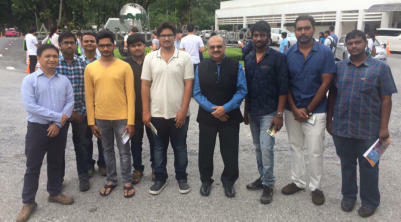 As officially confirmed by the Academic Senate, dated 19th July 2017, of the Asian Institute of Technology, 30 students have graduated this intersemester (14 from JNTU Kakinada and 16 from JNTU Hyderabad): 7 from Construction Engineering Infrastructure Management (CEIM) 7 from Computer Science 5 from Information Management Computer Science and Information Management, AIT 9 from Remote Sensing and GIS, AIT 2 from Structural Engineering Students have completed the requirements for the Bachelor and Masters degree at JNTU and AIT respectively. 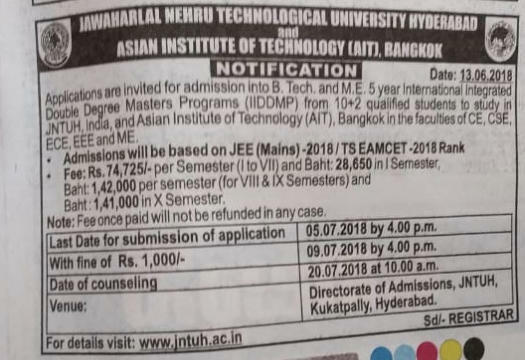 The Asian Institute of Technology (AIT) would like to take this opportunity to convey our sincere gratitude to JNTUK, JNTUH and She Foundationion for its continued support and cooperation to engaged in the development of human resources effort for Indian students. Students can attend the official graduation ceremony on December 2017.
mission in the fields of human and institutional development. 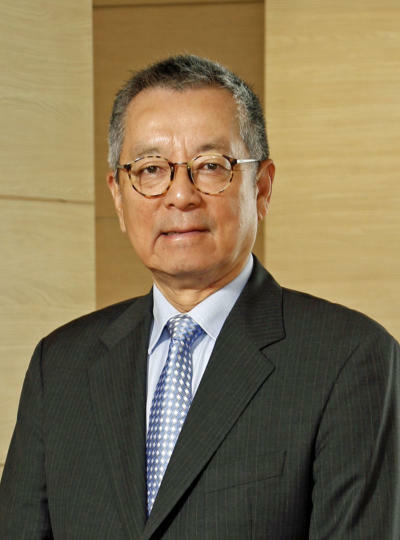 invite organizations and individuals to explore partnership opportunities with AIT. Partners of AIT are valued for their leadership and commitment in supporting the mission of the Institute and helping the Institute not only to respond to the needs of the region but to anticipate them. 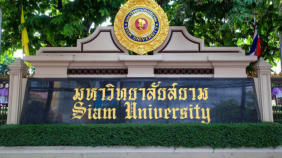 Siam University (SU), THAILAND Offerings: The program will be spread over a minimum of 5 years. 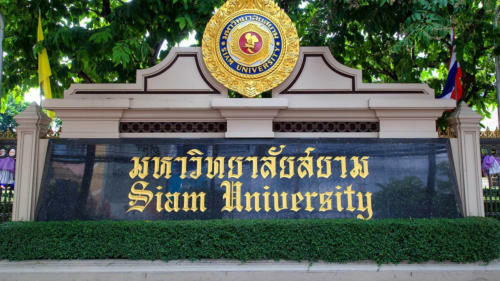 • students will spend first seven (7) semesters or (3.5 years) at SU for Bachelor courses and the • Masters part of the program in AIT will be 3 semesters and 1 intersemester (1.5 years). 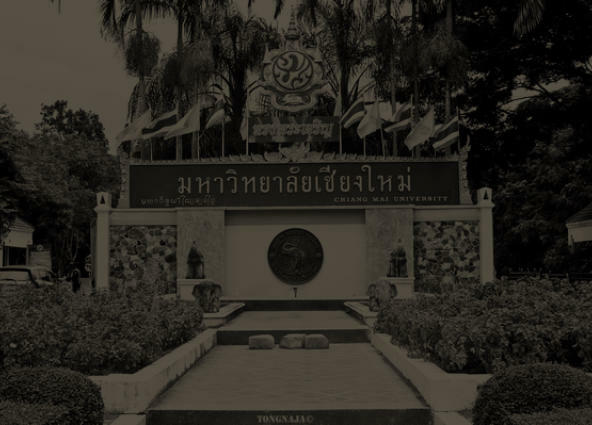 • The bachelor degree will be awarded by SU and the Master degree will be awarded by AIT, both only at the end of the program upon fulfillment of the requirements of each. 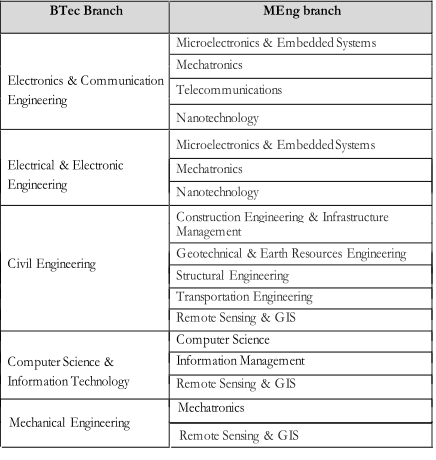 o Bachelor Degree title will be Bachelor of Engineering in Civil Engineering / Bachelor of Science in Information Technology. 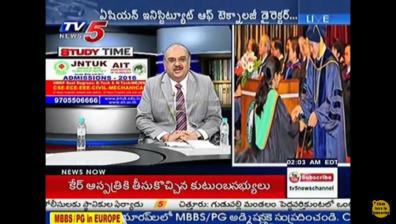 o Master Degree title will be Master in Engineering. 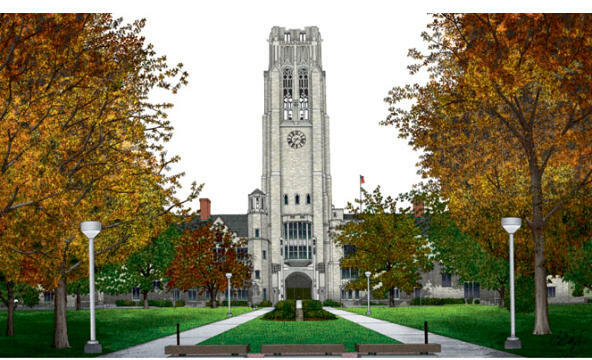 University of Toledo (UT), USA Offerings: • This UIBMDP will be spread over 5 years. • UT shall award undergraduate degrees Bachelor of Science in Industrial Engineering while AIT shall award the graduate degree Master of Engineering. o Both degrees will be awarded upon fulfillment of the requirements of each respective degree. 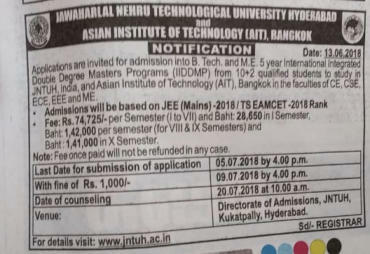 • In this integrated program, students will spend their first four semesters (2 years) at UT and will send the students to AIT for 1 year (2 semesters) continuing Bachelor studies and another 2 years (4 semesters) to continue their Master study • Some bachelor courses will be taught in AIT and credits taken will be transferred to UT. 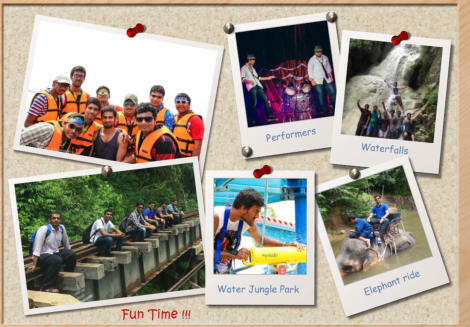 • Students are required to have Cooperative Education work experiences or “Co-op” twice (4 months each). During Co-op, students will earn a minimum of $1,600 and up to $3,200 per month ($10-20/hr, 8hrs/day, 5days/week). • Co-op students gain employment at over 2,400 employer sites in 44 states and 42 countries. 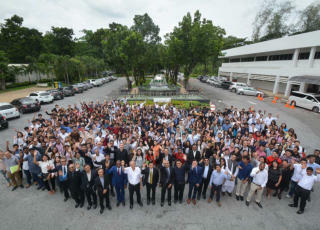 • After getting the degrees, students will have the opportunity to work in the US for Practical Training (PT) for one year. 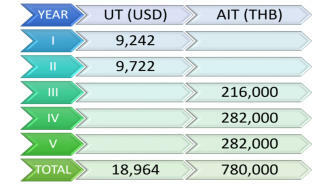 University of Toledo (UT), USA Among the Best in the Region, U.S and Abroad: • UT was ranked No. 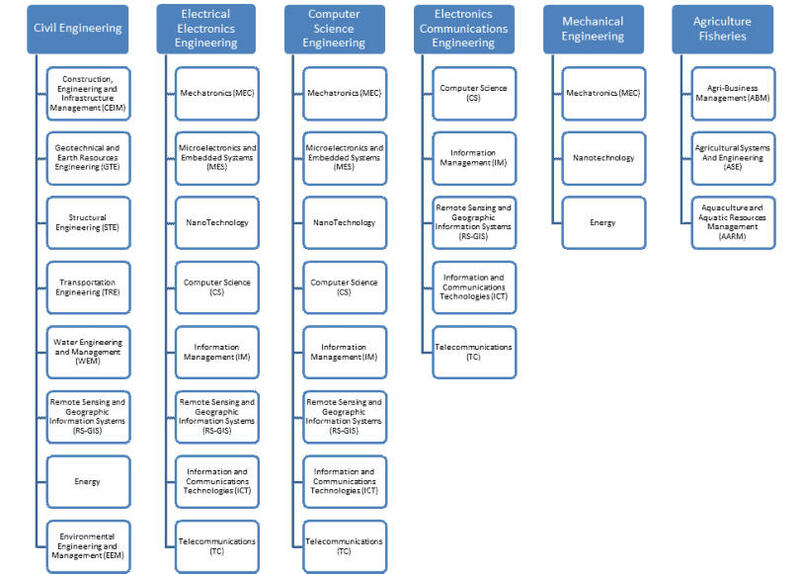 66 in the U.S. for TECHNOLOGY TRANSFER AND COMMERCIALIZATION. The Milken Institute’s Center for Jobs and Human Capital • The UT College of Engineering co-op program is listed in the “Best of Co-Op” category by the World Association for Cooperative Education. • CollegeNET currently ranks UT as the top institution in northwest Ohio for social mobility. • 76% percent of UT’s baccalaureate graduates are employed in the state of Ohio within one year after graduation, according to the Ohio Department of Jobs and Family Services in 2017. Offerings: • This UIBMDP will be spread over 5 years. 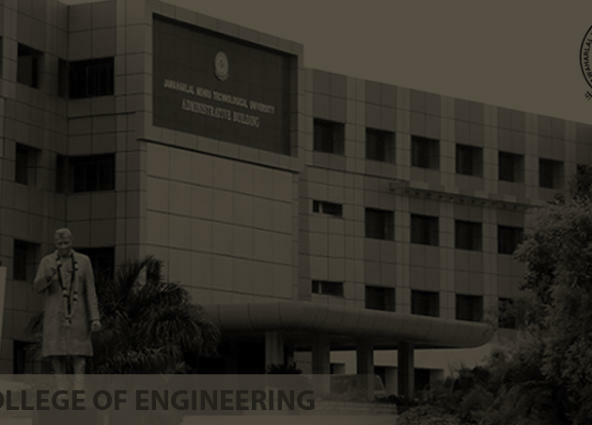 • UT shall award undergraduate degrees Bachelor of Science in Industrial Engineering while AIT shall award the graduate degree Master of Engineering. o Both degrees will be awarded upon fulfillment of the requirements of each respective degree. 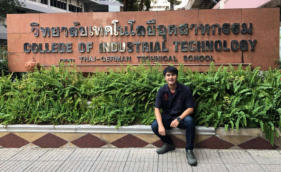 • In this integrated program, students will spend their first four semesters (2 years) at UT and will send the students to AIT for 1 year (2 semesters) continuing Bachelor studies and another 2 years (4 semesters) to continue their Master study • Some bachelor courses will be taught in AIT and credits taken will be transferred to UT. • Students are required to have Cooperative Education work experiences or “Co-op” twice (4 months each). During Co-op, students will earn a minimum of $1,600 and up to $3,200 per month ($10-20/hr, 8hrs/day, 5days/week). • Co-op students gain employment at over 2,400 employer sites in 44 states and 42 countries. 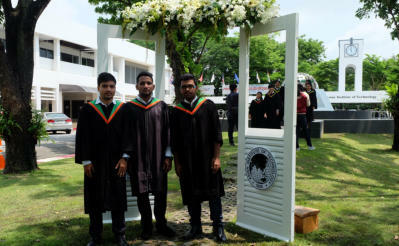 • After getting the degrees, students will have the opportunity to work in the US for Practical Training (PT) for one year. from Petra Christian University and “Master of Engineering” (M.Eng.) 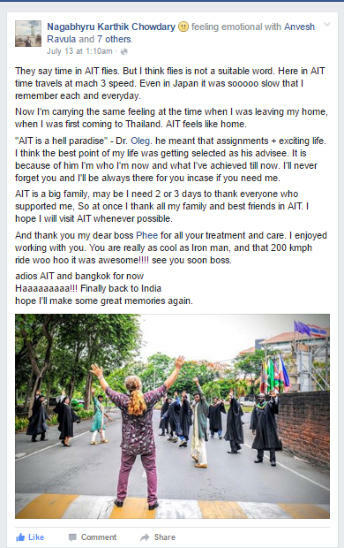 from Asian Institute of Technology. of embarking a 5-year integrated PETRA's bachelor and AIT's master degrees program for talent students, following AIT's model in operation with JNTU in India and Chiang Mai University. 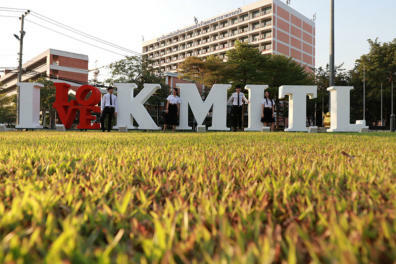 the partner university and master's degree from AIT. 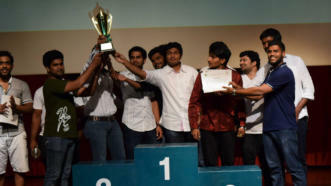 This fast-track program is therefore not meant for everyone, but only for talent students. 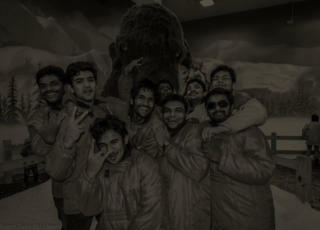 Management (WEM). The first batch of students will be admitted in 2017 intake at PCU. Later, this program can be extended to other specializations. 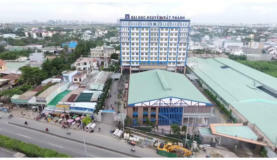 2005 and lastly on 13 August 2012. 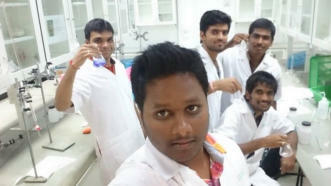 Engineering” (M.Eng.) 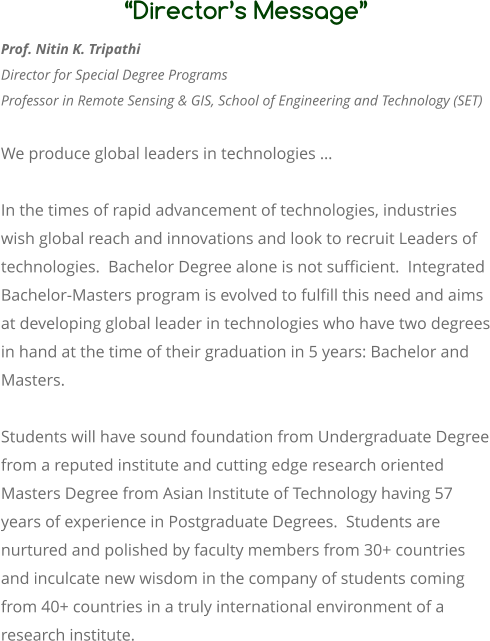 from Asian Institute of Technology. therefore not meant for everyone, but only for talent students. through AIT's Office of Special Degree Programs by its Director, Prof.
can be extended to other specializations. 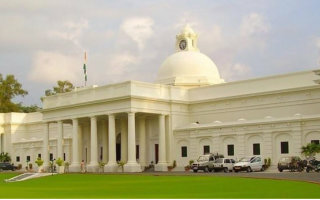 K L E F University (K L University) (KLU), a deemed-to be University notified by the Government of India, Ministry of Human Resource Development (Department of Higher Education) (hereinafter referred to as "University/ Institute"), which shall mean and include all successors, administrators and assigns. 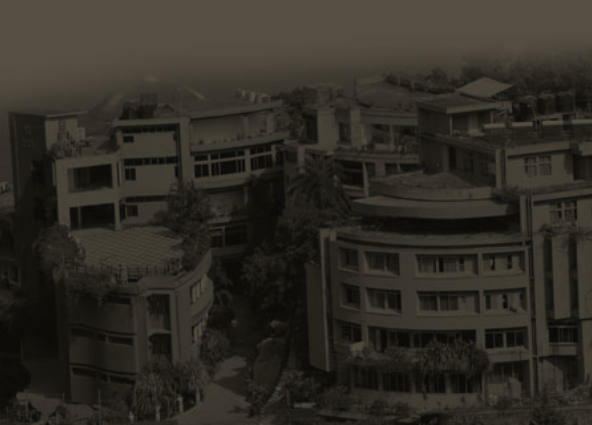 It is a pioneer in the field of education and research and KLU is recognized as Asia’s Best private University with high qualified faculty.KLU is accredited by NAAC as “A” grade and is also approved by AICTE. The university is offering the state of the art education in wide variety of discipline s& research relevant to the market needs. OFFERING: • This UIBMDP will be spread over a minimum of 5 years. 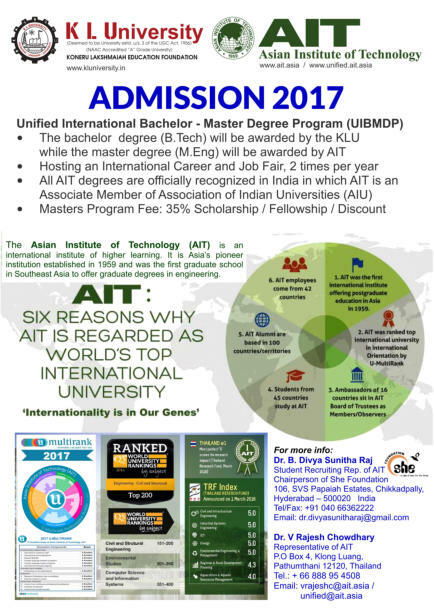 • The bachelor degree will be awarded by KLU and the Master degree will be awarded by AIT. Both the degrees will be awarded only at the end of the program upon fulfillment of all the requirements of each. • KLU will provide the certificate of completion of Bachelor Degree requirements to enable AIT to release the Masters Degree. 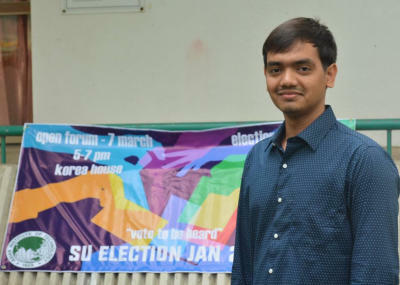 • In this integrated program, students will spend first seven semesters at KLU and the Masters part of the program in AIT will be 3 semesters and 1 inter- semester. • Students admitted to the integrated program will be advanced to the second phase at AIT based on their successful passing of all the bachelor courses till the 6th semester at KLU. • Those students who would not be able to complete the Masters requirement within the stipulated time, will be allowed to continue in the following inter- semester (without additional Credit fee), or the following regular semester (without additional Credit fee, but have to pay THB 20,000 per semester towards Registration fee). 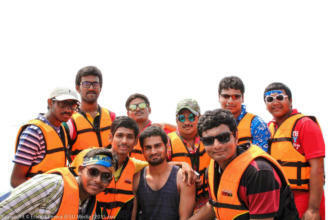 • During their Masters phase at AIT, the students will follow 3 Regular semesters (Jan – Apr; Aug – Dec; Jan – Apr), 1 Inter-semester (May – July), and if deemed necessary will be given extensions as per AIT policy at no extra cost. 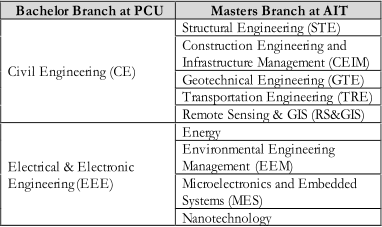 • Total credit requirement for Masters is 48 Credits; a student may choose Research option (with 38 Credit course work + 10 Credit research), or Thesis option (with 26 Credit course work + 22 Credit thesis) shown in Table 2. • If not stipulated in this MOA, KLU and AIT standard policies and procedures must be followed accordingly. The program was formally launched in AIT in January 2015, with 62 in 2015 from JNTUK India allocated in 3 FoS: Construction Engineering & Infrastructure Management (CEIM), for Remote Sensing & GIS (RSGIS), and Environmental Engineering Management (EEM). Out of 62 students, 55 have graduated in 2016 and 7 are expected to graduate in May 2017. In 2016, 35 JNTUK allocated in 3 different FoS, namely: Construction Engineering & Infrastructure Management (CEIM), for Remote Sensing & GIS (RSGIS), and energy. 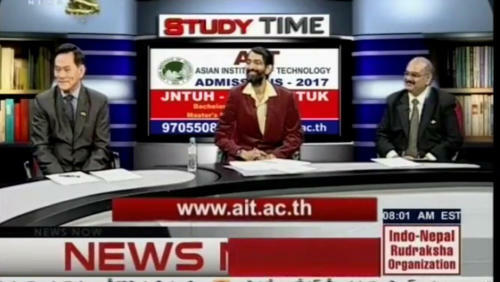 In 2017, 23 students joined AIT, it is expected that more students will join in August 2017. 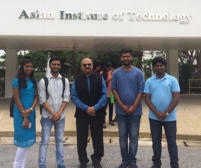 JNTUH Rector visits AIT, discusses Unified International Bachelor- Master program Rector of the Jawaharlal Nehru Technological University - Hyderabad (JNTUH), India, Prof. T. Kishan Kumar Reddy, visited the Asian Institute of Technology (AIT) on 2 February 2016 to discuss the Unified Bachelor-Master program currently offered by the two institutes. Leading a delegation of four JNTUH officials and two representatives of the Social Awareness, Health and Education (SHE) Foundation, Prof. Reddy also inquired about other collaborative programs offered by the Institute. 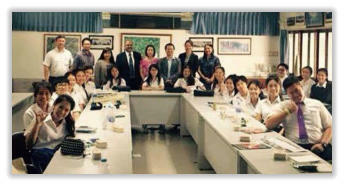 JNTUH Rector visits AIT, discusses Unified International Bachelor-Master program Prof. Sivanappan Kumar (left) with the JNTUH delegation. 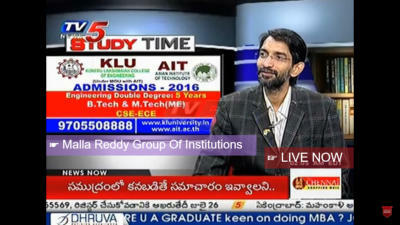 Welcomed at AIT, Prof. Reddy appreciated the wide-range of academic and research programs at AIT. On his maiden visit to AIT, the JNTUH Rector interacted with coordinators of various programs and discussed details of the Unified program. 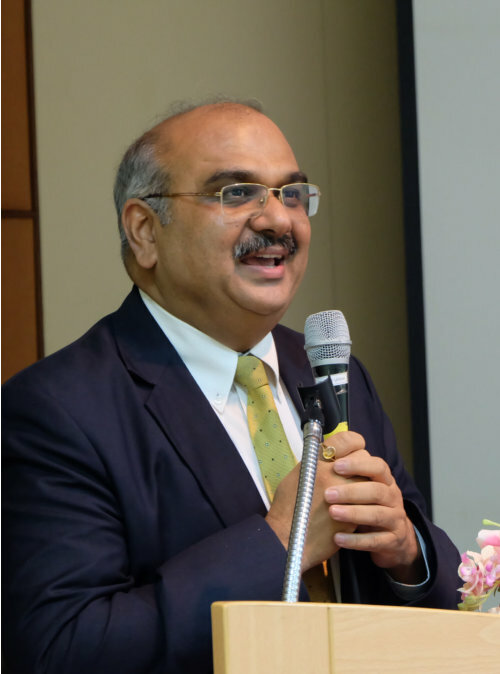 Prof. Nitin Kumar Tripathi, Director, Special Degrees Program, AIT, elaborated on how the Unified program offers a better professional career path for students. 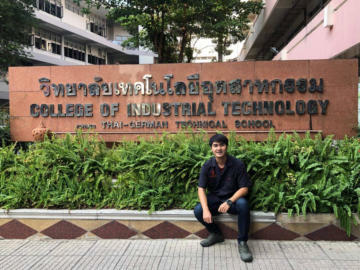 “It is a fast-track program which allows students to complete both their Bachelor’s and Master’s programs in five years, instead of six years,” he said. The condensed duration of the program implies that the cost of the program is also lesser, he added. He stated that so far 89 students from JNTU Hyderabad and Kakinada have arrived at AIT under the Unified Program. Agricultural Development Trust, Baramati (College of Agriculture Baramati): Since 1966, efforts have been made for famine relief of draught prone Baramati region, with a vision of Hon’ble Sharadchandra Pawar and with support of Australian missionaries. 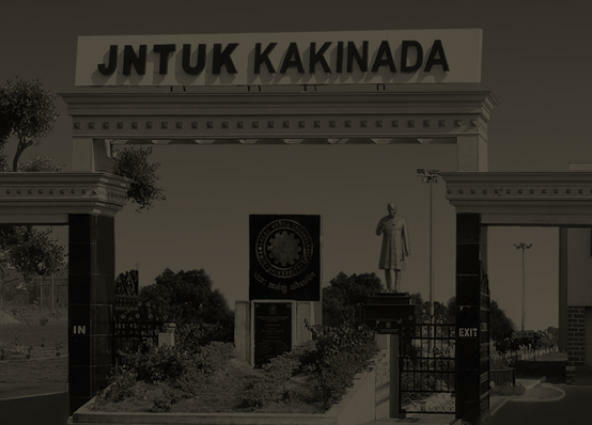 It includes, various rural developmental activities like construction of percolation tanks, providing loans for digging wells, blasting units, supply of improved variety seeds and agricultural equipments. 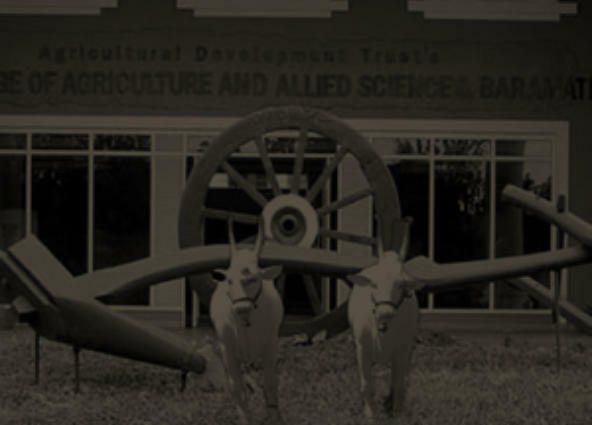 For continuous development work and to organise it on broader lines a sound platform was needed, hence the Agricultural Development Trust was established in the year 1971. 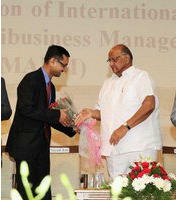 Later, Hon’ble Sharadchandra Pawar involved in development work through Ministry of Maharashtra state. College of Agriculture launches Unified Program in Agriculture Business Management with AIT Dr. Peeyush Soni of AIT being felicitated by Former Indian Minister Mr. Sharad Pawar. The program allows students enrolled in all four universities of Maharashtra to be eligible for admission through the Maharashtra Council Of Agriculture Education And Research (MCAER). 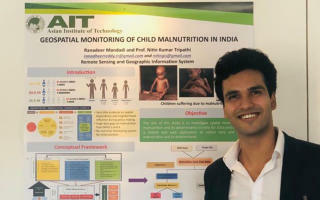 While students will study for their Bachelor's program in their host university in India, AIT will offer them a Master’s program in Agriculture Business Management (MABM). Announcing the formal launch of MABM, Sharad Pawar stated that the College of Agriculture has initiated numerous collaborative programs with renowned international universities. Enrolling in international programs will help students acquire additional skills, he remarked. Ms. Supriya Sule, Member of Parliament congratulated the College for initiating the MABM program, while Dr. K.P. Vishwanatha, Vice Chancellor, Mahatma Phule Krishi Vidyapeeth (MPKV), Rahuri, Maharashtra elaborated on the curriculum and scope of the program. policies and procedures to be able to be part of this unique program. University of Toledo (UT), USA Contact Person: Prof. Ioan Marinescu, Ph.D. Professor and Director Precision Micro-Machining Laboratory Department of Mechanical, Industrial and Manufacturing Engineering University of Toledo, Toledo OH 43606-3390 USA Email : ioan.marinescu@utoledo.edu Admissions: • Bachelor program admission will be based on UG Entrance Test conducted by UT. o 3.0 GPA; and o ACT Math 22, old SAT Math 520, New SAT Math 550 o TOEFL internet-based: 61; TOEFL paper-based: 500; IELTS overall band: 6.0 • Masters program admission, students admitted to the integrated program will advance to the second phase at AIT based on their successful passing of all the courses (Bachelor courses) at UT and AIT. 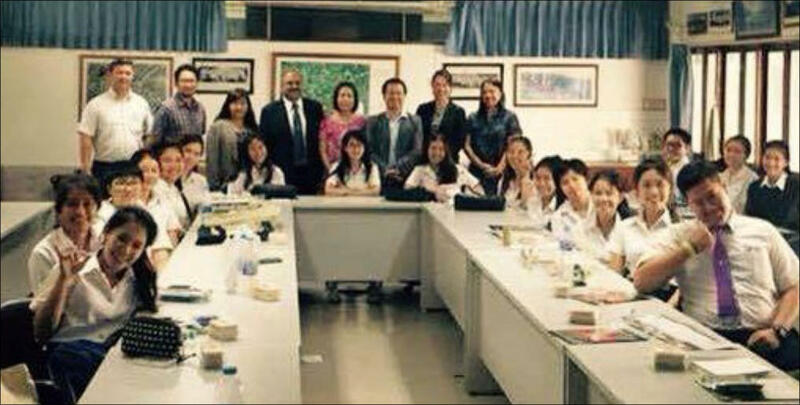 Siam University (SU), THAILAND Contact Persons: Dr. Eng. Duminda Jayaranjan, Lecturer, International College Email: duminda@siam.edu Dr. Wichian Premchaiswad, Dean, Graduate School of Information Technology Email : wichian@siam.edu Dr. Rathavoot Ruthankoon, Assistant Dean, Civil Engineering Department Email : rathavoot@siam.edu Requirements for Admissions: • High School Transcripts. An official transcript including all grades from at least the last two years of high school must be submitted. • Standardized examination results. An official copy of the results of a standardized college preparatory examination must be submitted. The following are acceptable: 1. 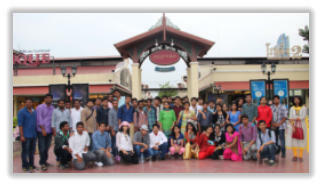 National or state-level centralized high school exit examination such as Indian CBSE. 2. National college Entrance Examination. 3. ACT, IB, GCSE, "A" Level, 6th form or 7th form, NCEA. 4. SAT I and SAT II. 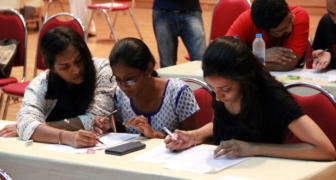 SAT II scores for three subjects including Mathematics Level II and Physics should be submitted. 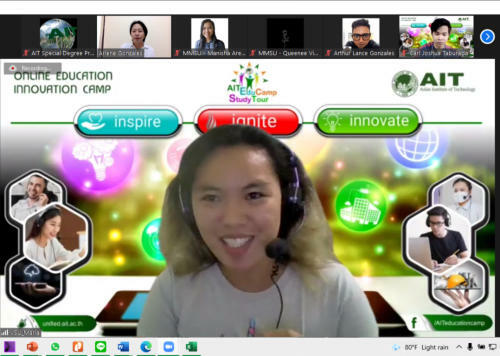 be able to be part of this unique program.